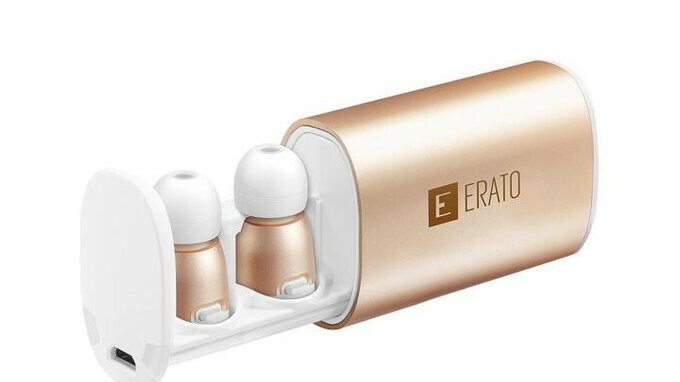 When it launched the Apollo 7 back in 2016, Erato wanted to produce the most compact true wireless Bluetooth earbuds out in the market. And it definitely succeeded in making super-portable earphones with an equally compact charging case that can produce a pretty satisfactory sound. The buds can play music for about 2-3 hours and the charging case holds enough juice for two full charging cycles, so that's between 6 and 9 hours of music when you are out and about. Now, they do have some downsides. Their earbud shape means that people that don't enjoy jamming headphones in their ears will not have a good time with these, despite the fact that they come with a few different silicone tips. There's also the fact that they are a bit pricey, with an MSRP of $229.99. But, if you follow the link above, you can get $100 shaved off of that price tag immediately, making the Erato Apollo 7 a little more alluring than they previously were. Promotional units available in Silver, Gold, and Rose Gold.